The brand's expansion plans in India include opening 18 experience centres and 80 distributors across the country. These distributors will expand the manufacturers reach in India by roping in over 10,000 retailers. The company also intends to target online sales presumably through e-commerce platforms. It has already launched two of its offerings in India - the “One” and “Mile”, priced at Rs 32,999 and Rs 29,000, respectively. GoZero is a British electric bikemaker that’s looking to expand its reach in the Indian electric bike segment. As per the company’s expansion plans, it intends to open 18 experience centres and have around 80 distributors across the country. The brand will further expand its reach to 10,000 retailers via these distributors. And that’s not all, GoZero will also tap into online sales, presumably through e-commerce platforms like Flipkart or Amazon. 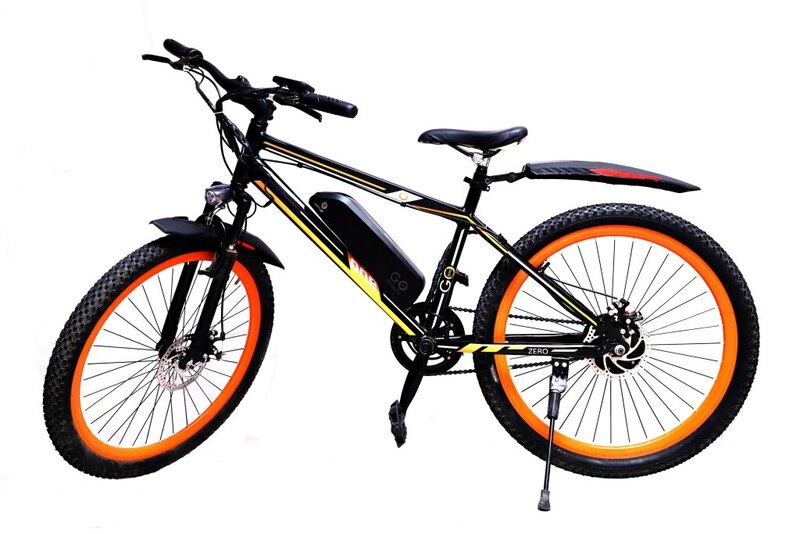 Currently, the e-bike manufacturer has introduced two electric bicycles christened the One and Mile which are priced at Rs 32,999 and Rs 29,000, respectively. The former packs a 400Wh lithium-ion EnerDrive battery which delivers a company claimed range of 60km on a single charge. The Mile, on the other hand, is powered by a 300Wh lithium-ion battery that gives it a range of 45km per charge. These e-bikes from GoZero compete against the Hero Lectro EZephyr priced at Rs 26,999 which can travel a company claimed distance of 45km on a single charge. Other alternatives include the Tronx One priced at Rs 54,999 which can go over 50km. On paper, the e-bikes from GoZero seem to offer better value-for-money. However, we will have to ride these e-bikes in real world conditions to see which one actually comes out on top. New Delhi,15th April 2019: GoZero Mobility- British Electric Bike makers, which manufactures premium electric performance bikes and signature lifestyle merchandise having its operations base in Kolkata today announced its pan India expansion. It has outlined 3-pronged expansion approach - 18 experience centres, 80 channel partners targeting 1000+ retailers and online sales to expand its retail network in the next couple of years.